Since 1995, FNTS has provided trusted hosted and remote managed services to companies nationwide. We are a subsidiary of First National of Nebraska Inc., a $20 billion multi-state holding company in Omaha, Nebraska, that has a strong heritage of banking excellence. Operating a state-of-the-art data center and offering customized solutions, FNTS is a trusted, nationally recognized leader in managed IT services. Founded on hardworking, Midwestern ideals, we place value on work ethic and customer service. We are recognized through numerous industry-specific certifications. We partner with the world's most respected tech companies. And we provide more than two decades of security and compliance expertise. Take a virtual tour of the data center. We were founded in 1996 on hardworking, Midwestern ideals—and those values drive our client partnerships today. And we haven’t looked back. We offer 99.99 percent availability—the highest level of guarantee a data center can provide. We are fully redundant and withstand the most serious technical incidents. 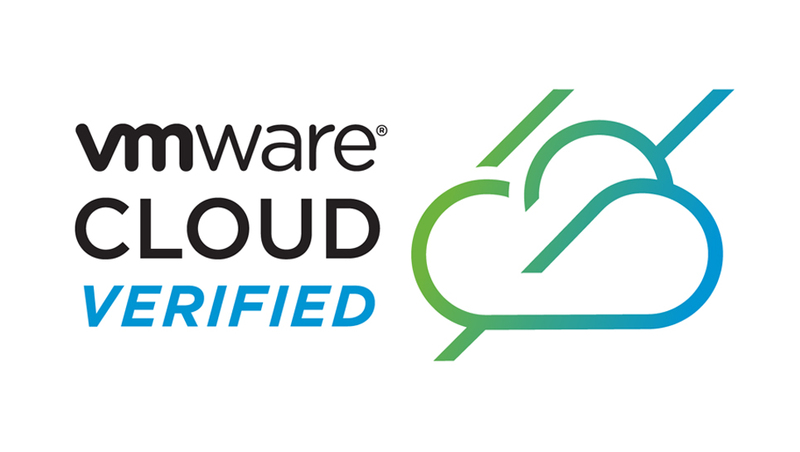 This certification measures control over information technology and related processes and is the assurance standard for data centers and their customers. Ensure your network infrastructure is protected within Payment Card Industry Security Standards Council guidelines. We will even help you obtain your own PCI-compliant certification. Our executive team is comprised of certified and tenured IT experts with a breadth of industry experience. FNTS President Kim Whittaker is a passionate leader with extensive knowledge in identifying trends, strategic solutions and new technologies that meet technical needs facing organizations today. She has served FNTS since 1996 and was named President of the company in 2017. Kim is instrumental in developing strategies for emerging technology, IT trends, enhanced security capabilities and customized managed service solutions. Kim cares deeply about the customer experience and long-term relationships. She ensures that FNTS provides high-level service and products to clients who rely on responsive, redundant and reliable solutions. Before joining FNTS, Kim held positions at First National Bank of Omaha and Principal Financial Group. Kim has a Master’s degree in Business Administration from the University of Nebraska at Omaha and a Bachelor’s degree in Marketing and Finance from the University of Nebraska. Kim’s career was spotlighted in Nebraska Quarterly, a Nebraska Alumni Association publication. As the first female President of FNTS, she leads FNTS’ Women in Technology initiative, inspiring youth to consider future careers in technology. As a member of the AIM Institute not-for-profit board, Kim is invested in growing the tech talent pipeline and increasing diversity in the technology industry. Kim is a Husker fan and once played on the University of Nebraska’s golf team. In addition to rooting for the Huskers and playing golf, Kim enjoys spending time with her family. Dan Caldwell is the chief financial officer and operating officer of FNTS, where he is instrumental in strategic planning and financial oversight, as well as the support of all customer touchpoints through the operation support center and service account managers. 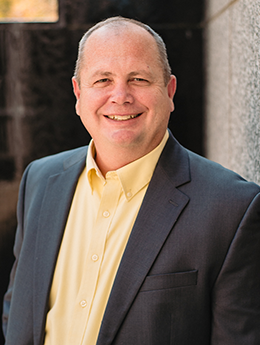 Dan brings more than 20 years of finance, accounting, and general management experience with top Omaha companies such as Union Pacific Corporation and ConAgra Foods. Before his current role, Dan joined FNTS’s holding company, First National of Nebraska, where he served as vice president of business planning and analysis in 2007. Dan holds a Bachelor of Science in Business Administration from Creighton University, and Master of Business Administration, also from Creighton. 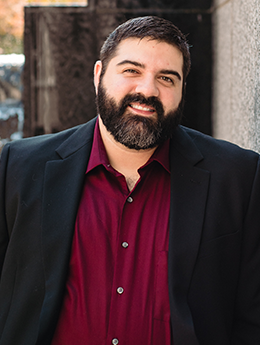 FNTS Chief Information Security Officer Robert LaMagna-Reiter is a leading, trusted cybersecurity expert who holds several industry certifications. He has knowledge of the latest cyber threats and strategies to mitigate risks. Robert implements information security strategies and roadmaps for FNTS’ clients through risk management; strategy and mitigation tactics; architecture and engineering; regulatory compliance and IT governance; and adherence to policies. There is no compromise when it comes to security. FNTS offers the security services for organizations that require stringent security standards and industry-compliant regulations. Leveraging more than a decade of industry expertise, Robert is a strategic advisor, consulting with current and prospective clients to achieve security initiatives within their organizations, helping them to understand the value and risk reduction to their enterprise through utilizing the security offerings provided by FNTS. He understands clients’ goals and objectives in an effort to suggest ways FNTS can help them achieve their goals in a cost-effective manner. Robert’s past experience includes leadership roles in information security for transportation, government communications, retail, e-commerce and managed services industries. He has a Master’s degree in Business Administration and a Bachelor of Science degree in Management Information Systems from the University of Nebraska at Omaha. Robert enjoys spending time with his wife, family and friends. Rob also enjoys bowling and has achieved a perfect 300 game. Additionally, he was previously a part of the UNO bowling team. Ken Marr, FNTS Chief Technology Officer (CTO), is a strategic and innovative leader who assists in developing long-term technology strategies to ensure FNTS remains steps ahead of technical change in the marketplace, continuing its long-standing history of providing tailored IT solutions to clients worldwide. While embracing the growing sophistication of technology, Ken works to ensure maximized results for organizations of all sizes through FNTS’ scalable, secure and custom-built IT solutions. With more than 25 years of industry experience, Ken has vast knowledge of IT operations, software engineering, data management and digital transformation initiatives, including the creation of an entire technical ecosystem and many software products, as well as advanced technology platforms. Originally from Juniata, Nebraska, Ken graduated from Hastings College with a Bachelor of Arts degree in Political Science and Human Resource Management. Ken enjoys spending time with his wife and three daughters, traveling, hunting, fishing, boating and scuba diving. 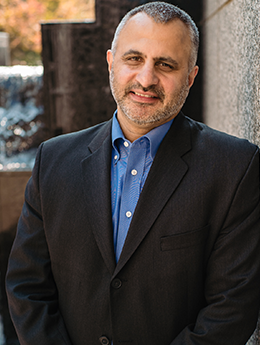 Arvind Thapar is the VP of Strategy at FNTS, who engages with our clients on business strategy, innovation, partnerships, and go-to-market imperatives. As an executive representing FNTS, Arvind drives the strategically aligned business message with a focus on revenue, sustainable technology solutions, agility, security and simplicity of execution. Arvind’s core focus is to achieve business outcomes by leveraging best-of-breed solutions that align with our clients’ business & IT strategy, architecture, and priorities. Arvind is a senior business and information technology executive with 25 years of diverse industry experience, and a proven track record of executing and achieving business-centric results. He has defined and executed the “* as a Service” as a deployment and consumption model for numerous Fortune 500 clients. He has demonstrable strengths in forging strong, sustainable executive level relationships, as well as the ability to drive strategy, and vision by skillfully identifying potential opportunities in a diverse technology and political environment. He has a deep grasp of macro-level issues as well as minutiae and key performance indicators (KPI’s) required to drive revenue, efficiencies, and to mitigate risk. Arvind has been a student of financial market trends and behaviors since the early 90’s; this has enabled him to assist clients and customers during critical decision-making junctures for a longer term strategic outlook as well as for a shorter term tactical and operational time frame. Prior to his career at FNTS, Arvind has held leadership and executive positions at firms like FNB Omaha, Sirius Computer Solutions, IBM, Moody’s Analytics & Dell Technologies (Dell, Dell EMC, VMware, Pivotal, Boomi, Virtustream, RSA, SecureWorks). He has a BS in Aeronautical Engineering from PEC in Chandigarh, India. At the graduate level, Arvind has received an MBA, as well as MS degree in Information Systems from the University of Iowa. He is based in the USA. 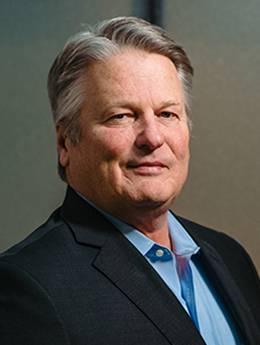 As Vice President of Sales and Marketing, Rick Kingsbury leads FNTS’ long-term sales vision and, strategies as it continues to expand its customized and strategic IT services, enterprise-grade infrastructure, managed services, and hybrid cloud solutions, helping organizations expedite digital transformation through delivering services that consistently exceed expectations. Kingsbury joins FNTS with a dynamic 30-year sales career in the technology industry, where he has a vast amount of experience with sophisticated sales models and cutting-edge products and services. 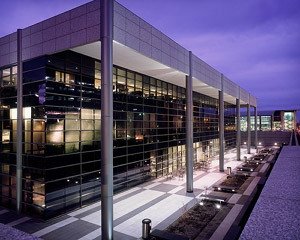 With a strong track record of achieving organizational growth through key account management, new business development, and established strategic partnerships, Kingsbury has developed strategic solution-based sales for network and data center solutions, including cloud computing, managed services, security services, analytics, big data, and business intelligence. 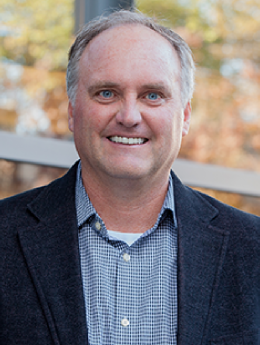 Kingsbury’s previous experience includes distributing high-performing technology applications to Fortune 500 companies, executing sales and marketing plans, creating custom and product-driven solutions to address the technology and business needs of clients, team building and brand development. Kingsbury earned his degree from Brown College in Information Technology. An expert in the digital transformation, Dan Olsen works with FNTS’ clients to develop customized migration plans that minimize business impact. 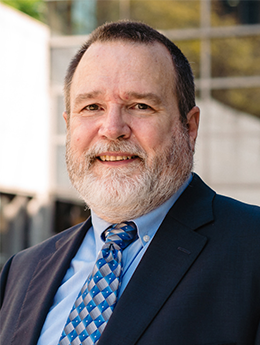 In addition to serving as director of Enterprise Systems, Dan has more than 40 years of experience with operating systems and their components. He previously has held roles at as a mainframe systems programmer, third level problem manager and manager of several non-enterprise systems teams, including Sun Solaris and DEC OpenVMS. This vast systems knowledge helps Dan to lead and mentor teammates on current systems in addition to systems dating back 30-plus years. His expertise in legacy systems allows him to troubleshoot problems and craft custom migration plans for organizations turning to managed services. Dan has completed numerous technical training programs and is currently completing certifications in the IBM Badge program, as well as IBM Professional. His training and experience allow him to quickly aid clients to identify, analyze and correct underlying problems, rather than focusing on surface symptoms. Originally from Omaha, Dan is a lifelong learner. He graduated with a Bachelor of Science degree in Multidisciplinary Studies from the University of Nebraska at Omaha. He is currently completing a Master’s degree at Bellevue University, as well as taking continuing education classes at Metropolitan Community College. In his spare time, Dan volunteers as an Amateur Extra Radio Operator and provides emergency communications and communications for events such as RAGBRAI, MS Bike Ride, Cornhusker Games and local area parades. 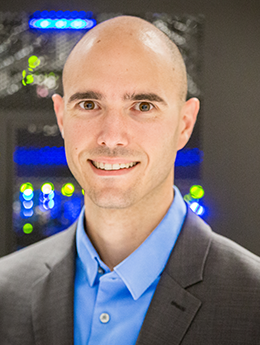 Michael first joined the First National family in 1998 as a high school intern for the company assisting with mainframe operations for the Y2k project. After graduating high school, he became one of the first network control operators for FNTS to run batch processing in 2000. After serving 15 years at First National, in roles ranging from help desk to network engineering and capacity planning, he rejoined FNTS in September 2015 as manager of the FNTS Command center. Today as director of service delivery and the operation center and with more than 17 years of technology experience in the financial industry, Michael has been able to provide a fresh approach and new perspective to operation management. 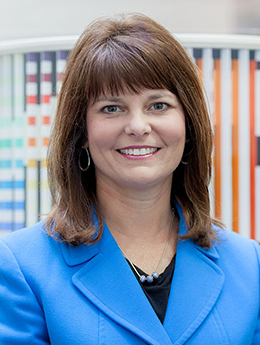 Michelle Travis leads the marketing division of FNTS, utilizing leading-edge tools to share FNTS’ customized solutions and best-in-class technology with growing audiences at organizations across all industries. She works to share the story of FNTS – from sharing the news on innovative product offerings and new features to FNTS’ work as a respected global technology leader, providing managed services and IT solutions to help businesses maintain ongoing success. Michelle’s objective is to drive FNTS’ go-to market approach through brand strategy, channel partner marketing, corporate communications, digital, and creative, connecting clients and prospects with FNTS subject matter experts’ solutions to accelerate revenue growth. Michelle brings more than a decade of marketing business-to-business experience in the technology and payment acceptance industries. Her past experiences include national account management of fortune 500 companies, managing national print and direct mail campaigns and operations for a leading payment processing provider and implementing a cross-sell program promoting services across multiple business units to drive revenue. 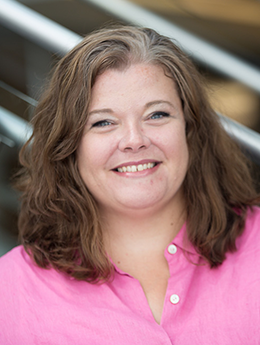 Michelle has been a mentor for youth for more than a decade in the Omaha metro area and is involved in promoting women in technology efforts and programs to encourage young girls to pursue careers in IT. Michelle earned her Bachelor’s degree in Marketing Management from Bellevue University and is certified in both Inbound and Email Marketing through HubSpot Academy. FNTS’ mission is to provide scalable, secure, and customized hosted and remote managed services with exceptional customer service and best-of-breed technology. We want to raise the bar in the data center industry by providing a more personalized and flexible experience, and by helping clients stay on the cutting edge of technology adoption and usage. FNTS places high value on customer service and work ethic. While not ostentatious, our team is made up of energized, hardworking problem solvers with a long history and breadth of industry experience. We focus on creating lasting relationships with our customers. Unlike other managed services providers that force customers into defined packages, FNTS offers flexible terms in a flexible architecture—even offering a la carte services. We take a consultative approach, work collaboratively to develop a customized right-fit solution, and support a variety of operating systems and hardware platforms. Legacy systems are phasing out, digital technology is on the rise, and cloud compute has entered the multi-cloud era—and through it all, FNTS takes a strategic approach to long-term solutions, well beyond traditional borders, and free from mind-numbing, routine IT maintenance. FNTS provides IT solutions and managed services so you can focus on your business—and its future.